Grand Chateau is a freehold condominium located at Jalan Rajawali, off Jalan Jurong Kechil near to Upper Bukit Timah Road, Bukit Timah Nature Reserve, Hillview and Bukit Batok. Grand Chateau is near to the popular eateries along Upper Bukit Timah Road. Amenities can be found at Bukit Timah Plaza, Bukit Timah Shopping Centre and Beauty World malls. It is also near to Bukit Batok Town Park and Ngee Ann Polytechnic. 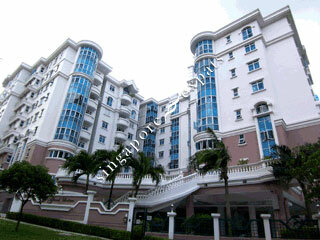 Grand Chateau is easily accessible via the Pan Island Expressway (PIE) and the Bukit Timah Expressway (BKE). It takes around 15 minutes to drive to the Central Business District.